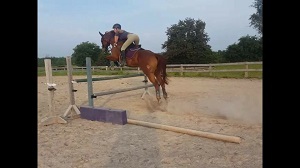 Experienced coaching In Jumper, Dressage and Eventing for the novice or competitive rider. Lessons based on helping riders understand their horses using classical and modern styles for results catered to you and your horse. Each horse and rider is different - does the rider need more direction, or the horse? Lessons are individually targeted to your goals and needs. Over 35 years experience. Fully insured. Costs based on travel and location to current barns. Pls contact xcschooling@gmail.com for more info.